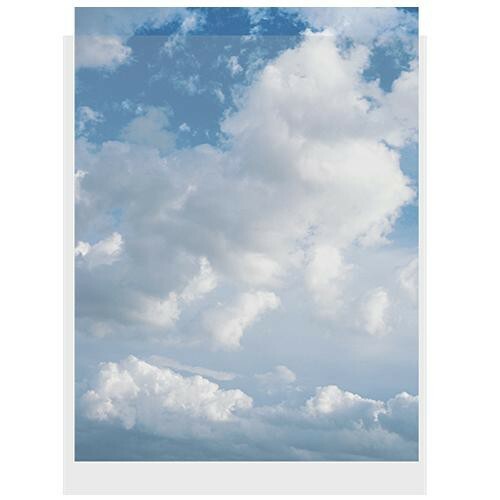 This 10-pack of 16 x 20" Print Protector's from Clear File is made to store and protect photographs, digital prints, and inkjet prints against fingerprints during handling, and against other outside contaminants. The page is designed to hold two prints at once, or a single matted print. The top-loading Print Protector pages, which are archival safe and acid-free, are made of a 6 mil clear polypropylene plastic. Box Dimensions (LxWxH) 16.95 x 10.35 x 1.3"
Print Protector (16 x 20", 10-Pack) is rated 4.4 out of 5 by 8. Rated 5 out of 5 by Anonymous from This product serves it's purpose exactly I window matte my prints with 4ply board. This fit just perfectly into these sleeves. I don't think 8ply board would make it. They work great for what I want and look professional. Rated 1 out of 5 by Midahu from Order somewhere else Ordered these from B&H to use for my professional portfolio. They came in a envelope about 6 x 10. Needless to say they were all creased and unusable. ... Received the replacements in a box about 8 x 16 this time. Pages were again folded in half with a big crease down the middle. Making them unusable again. Clear file makes great products but save yourself the time order them from somebody else. Rated 5 out of 5 by fieldsphotos from Works very well Using these clear protectors for prints that have been mounted to a 16x20 mat board. The items fit well with the single mat board thickness; they might be a little tight if you have multiple mats on the print. Works great for me, and I will be purchasing more. Rated 5 out of 5 by Anonymous from Super durable I use these protectors when I sell my photographs. They are very professional are very durable. Rated 5 out of 5 by Anonymous from excelent for photographs Keeps photographs clean and protects them from finger prints.